Mike and Jane did a great job (especially under difficult circumstances, holidays, new kitchens....) of organising the Quiz on Wheelz, it was only 13 miles from the Golden Cross (I'm sure we did over 20 and we still didn't win!!) but there were lots of questions to answer on the way. Jane had warned us we needed to "get inside her head" but I don't think anyone managed it!! 14 cars managed to make their way to the Wheatsheaf Inn in Badsey where we enjoyed a Chinese taster menu, which was very good. Steve had arranged for us to use the overhead projector and persuaded Graham to produce a series of linked videos of past events run by the Club which was great fun trying to see your own car passing by. Graham has said anyone can have a copy and he is happy to down load on to a USB memory stick (minimum 8Gb) for them. The Judge is always right (even when they are wrong, only happened a few times!!!). Graham and Fiona and yes they have agreed to set the Quiz next year. There was also a celebration going for someone's birthday (I couldn't divulge the age though) and they did eventually remember to bring out the cake but as half the folk had left it was decided to actually cut the cake at the Club Night on Tuesday, don't miss it. Another great day out, this time organised by Nigel. 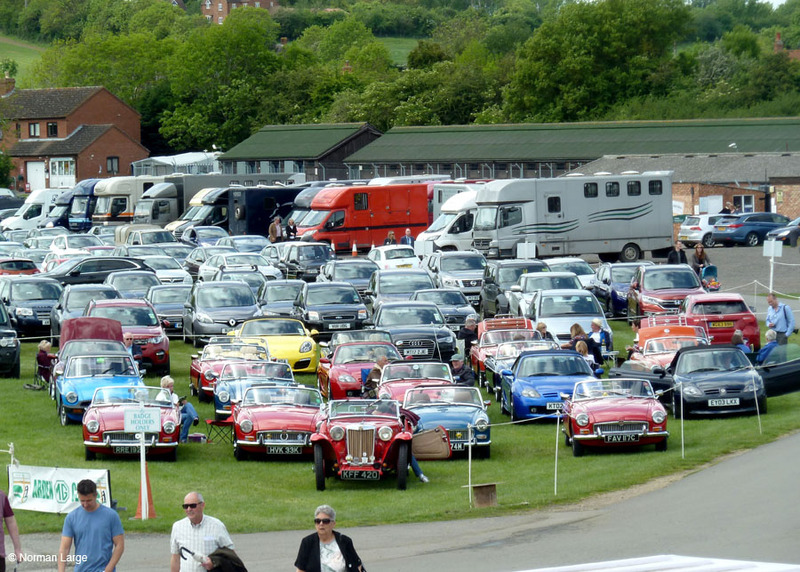 He had arranged a dedicated parking area for our MGs, in pole position facing the entrance gate. 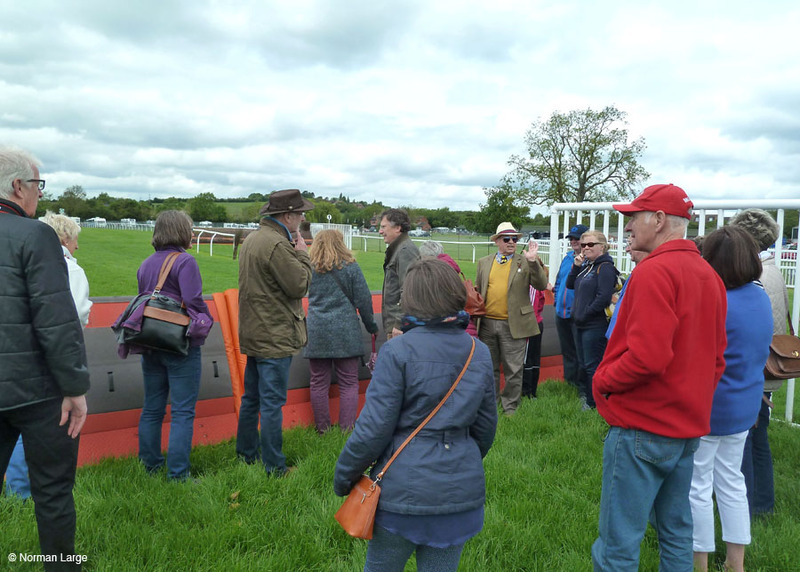 We all arrived in good time to go out onto the course (before the event program started) to get up close to the fences and Nigel explained the differences between the 'Hurdles' jumps and the 'Steeple Chase' jumps. 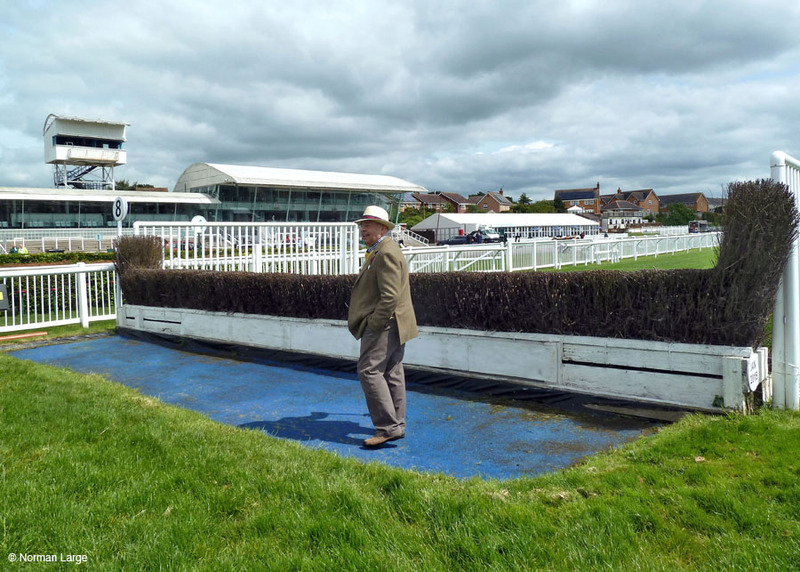 We were left to imagine what it was like to be on the horses heading for these jumps, especially after he pointed out where the horses start their leap and then where they land on the other side, rather them than me!!! Next Nigel took us into the changing room and saw the pegs with saddles ready to be used, the girls especially enjoyed this bit as the jockeys were not holding back in getting changed ready for their races. 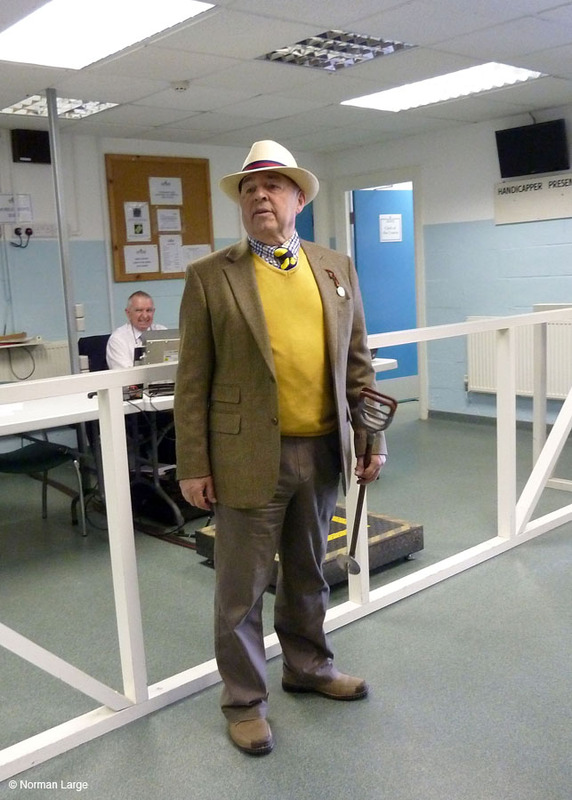 Onwards into the weighing room, an important part of the handicap process!! 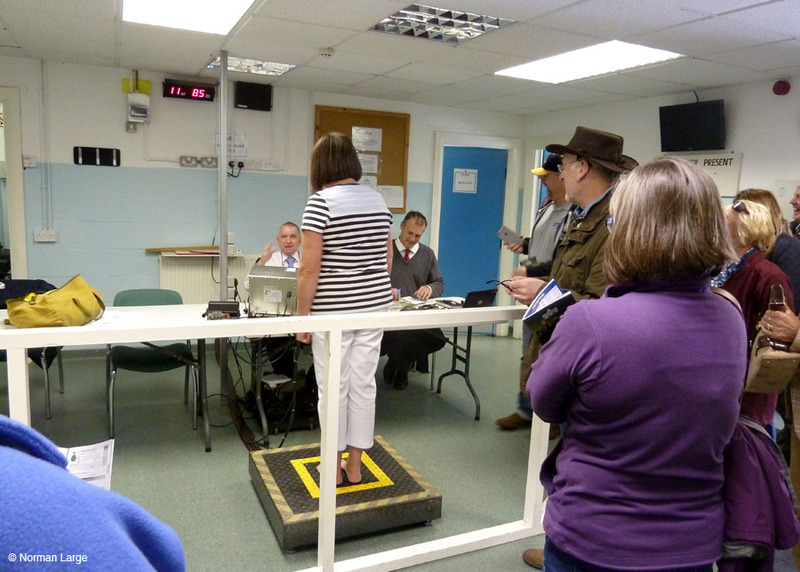 A few of us were brave enough to step onto the scales and we could all see the displayed weight, I'm not sure Diane realised this!!! From there out into the stables area and exercise ring before walking over to the parade ring. 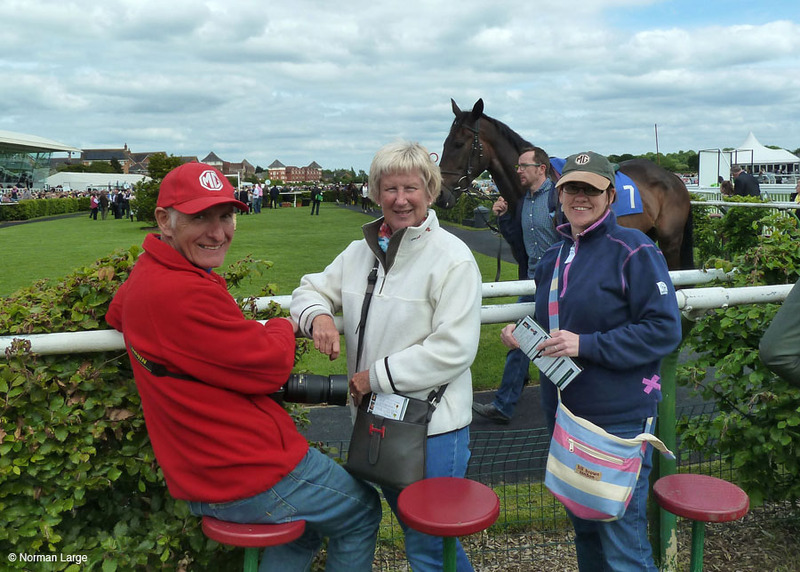 We were all now ready for the racing but how do we place the bets (there were quite a few betting virgins). 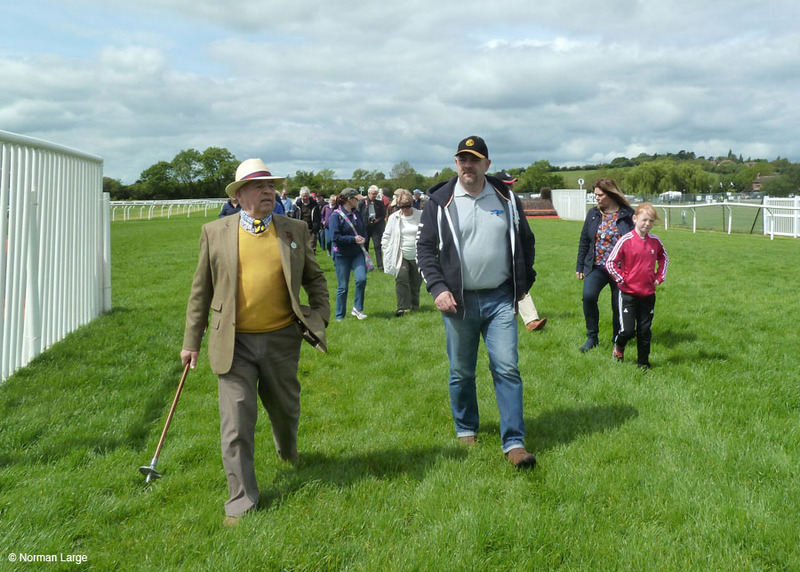 Nigel was again on hand to explain the differance between the various bets and the tote or on course bookies, the only complaint was he didn't tell us who the winners were going to be, well I didn't lose too much but the kids might have to forgo their inheritance!! Who is risking the scales? The Cars before we took the flag down due to the strong wind. A great day out, thanks Nigel. As this year's Chilly Willy Run was a bit of a washout with the rain, Graham asked "why don't we do it again in the summer? It was such a scenic route it would be good to see it rather than in the rain." As you can see from the photos below the sun did come out for us but only after a short shower just before we left the Garden Centre. It was definately warmer for this re-run. At the 'Cross' Matt had laid on a Sunday Lunch Menu which was enjoyed by all. Cars on route - in the sunshine!! 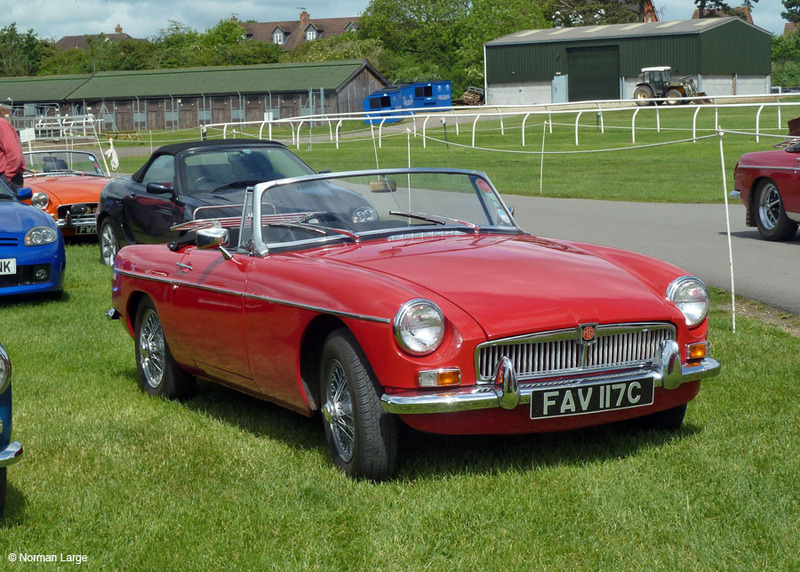 A new member who joined us just for the run, nice car though. 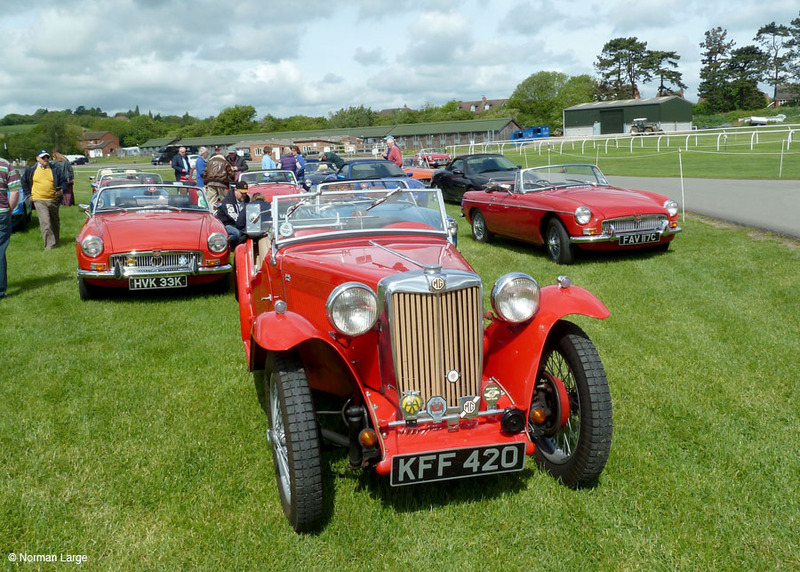 It is a RAILTON of circa 1989 vintage, designed by William Towns for the Railton Car C0 of Wixford!! It is based on a Jaguar XJS. 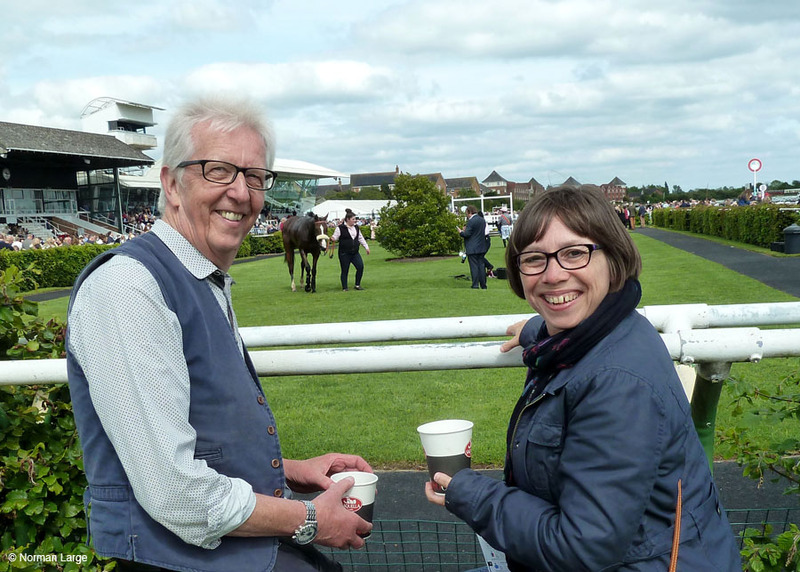 As we were leaving some of you will have seen Nick Godfrey's daughters taking your photo, here are the results. Well done to Ella & Amelie. After picking up the question sheets at the Golden Cross and some tricky questions we finished at the Neville Arms for a well earned drink and sustenance. This year Caroline and I just missed out on the top prize but we had another presentation to make of a birthday cake to Julia Cleobury before the winner's prize was awarded to Mike & Jane Green, well done and they have agreed to set the quiz next year. Many thanks to David & John for an enjoyable (if wet) evening. The story is that Bidford was famous for it's beer drinkers and that one day a group from Stratford came to the village and started drinking with the locals. Amongst the Stratford visitors was a young man called Shakespeare who tried and failed to out drink the Bidford men. The group fell into a drunken sleep and the story is that Shakespeare spent the night sleeping under a tree. When he woke next day Shakespeare is said to have declined the offer of more Ale by saying that he had drunk all the places in the rhyme. The rhyme did cause some difficulties for most of the teams but three of them were tied on 25 points. A tie break question was eventually chosen but no one wanted to win with the prospect of having to set the quiz next year, when the threat was removed Graham & Fiona triumphed.